Vaish Words©: Open Letter to Prime Minister Narendra Modi: We will not go quietly into the night. Open Letter to Prime Minister Narendra Modi: We will not go quietly into the night. I write not to celebrate your government’s demise but to say that I am gravely disappointed in you. There are many who were actively rooting for your failure, based on your RSS and Hindutva roots; to be clear these people are not rooting for India’s failure but for you to show your true saffron colours, so to speak, as you have now done. Against my better judgement, I decided to give you a chance; not by giving you my trust but by vowing to keep an open mind. I understood that you would need to walk a tight rope, balancing your RSS constituency’s Hindutva demands and striving for double digital growth. But I gave you the benefit of doubt because I hoped you had grown wiser and understood that there can only be economic development in a democracy unhampered by religious and fanatical ideology. That there can be no innovation without inclusion. There can be no invention without free thought. And there can be no democracy without freedom of speech, unimpeded by limitations imposed by an elected government. India has never feigned democracy like a China or a Russia. We have always strived to be a genuine beacon of discovery, debate, discussion and dissension. 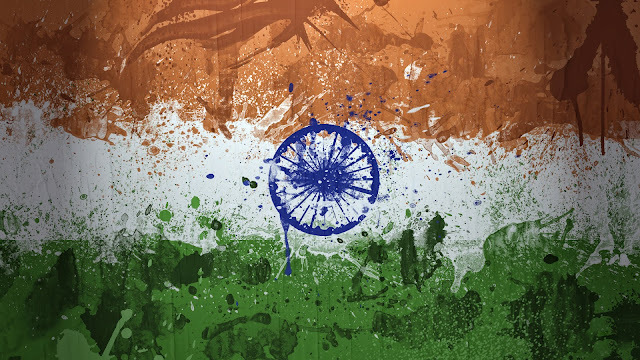 Messy, corrupt, polluted and imperfect as we might be, I have always been proud to be an Indian. But I am also critical, when and where I need to be, of corruption, vote bank politics, the caste system and the fact that we remain a male dominated society even in the twenty-first century. Therein lies the definition of patriotism for me. It is a relationship of a loving parent and child: always proud but also so deeply caring that it can be overly and passionately critical of all that is wrong. Do not mistake this honesty, sometimes demonstrated through anger and frustration, and even misguided sentiments, for anything more than a bid to shake up the status quo. It is the depth of this patriotic love that pushes many of us to find ways to make India better by first acknowledging our faults and shining a bright light on our government's flaws. You would do well to remember that patriotism is NOT blind love and devotion for one’s country or government. That is the definition of dictatorship and has all the trappings of an oppressed society where citizens are too fearful to express themselves. And no Indian requires a certificate of patriotism from your government or any other. If I choose not to stand during the national anthem in protest, that is my right. If I choose to compare my Prime Minister to Hitler, in a social media cartoon, that is also my right. There are laws and there is freedom of expression; do not muddy the two. So far I have held my tongue, but your government's actions on the JNU campus are a disgrace to India and to the democratic principles my forebears spilled their blood to earn. The BJP’s use of archaic laws, those once used by our oppressors, to arrest faculty and students is a step too far. Our nation must recognize this growing abuse of power, this attempt to erode basic freedoms. To that end, I have adapted below words Churchill used when he and Britain also faced great adversity and the greatest threat to their way of life. Even though large tracts of India and many old and famous states have fallen or may fall into the grip of the BJP and all the odious apparatus of RSS rule, we shall not flag or fail. I can't help but think of the quote our former leader once attempted to state about an old saying "in Tennessee, I know it's in Texas, probably in Tennessee — that says, fool me once, shame on — shame on you. Fool me — you can't get fooled again.” I think we always get duped when it comes to fearless leaders.